H. Milton Stewart, Sr.’s career began in the Bell System in 1916 and he joined Kellogg Switchboard & Supply in 1923. He became secretary and general manager of the Texas Telephone Association in 1933 and then held a similar position with the Pennsylvania Telephone Association from 1937 to 1944. He was vice president of telephone services in Fort Wayne, Ind., and moved from that position to mange Standard Telephone Co. in Cornelia, Ga. He also became secretary and later president of the Georgia Telephone Association. Stewart was a USITA a director for 12 years, serving on the nominating, executive and legislative committees, and appearing on many convention programs. 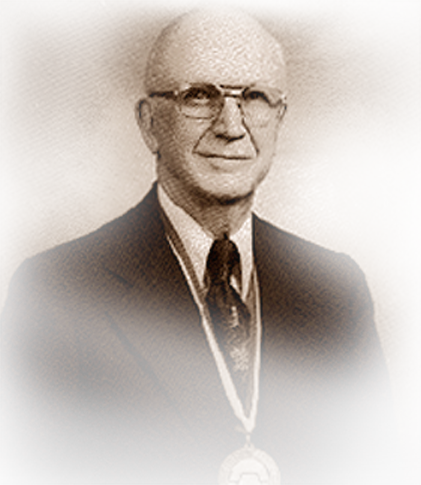 In 1976, he was awarded the association’s Distinguished Service Medallion, the industry’s highest honor. As an ITPA director, he organized several chapters and clubs. The H. Milton Stewart Sr. Pioneer Club was named in his honor. He was constantly involved in civic, historic, religious and educational organizations. He was awarded an honorary doctorate degree from Piedmont College and elected to the Georgia State Hall of Fame. Stewart’s gracious manner, natural leadership qualities, his dedication and intense drive to upgrade service, his vision and establishment of many “firsts” for the Independent industry are the hallmarks of his long and illustrious career. He died in 1988.